Dubai, which is the largest and most populous city in the United Arab Emirates (UAE), is well known across the continents as one of the best places to visit in the whole world, be it for vacation or business purpose. A lot of things are possible in Dubai as the city has so many greatness attached to its name. What are you looking for that you won’t get in Dubai? Dubai is not only for luxury shopping, but it also offers so much more and one of the good things about Dubai is its printing press services. Printing company in Dubai don't disappoint in terms of giving out the best services to its customers and there is no printing job you want to be done that can't be done. Is it stationery printing, gift printing, or mug printing? All these and much more are covered in Dubai with a lot of benefits surrounding it. 1. Quality: In Dubai, be assured of being offered high-quality work as printing company in Dubai offers the best services and high-level printing solutions. They have high standards and their goal is to sell the highest quality printed products they possibly can. Dubai printing press services only deal with quality and it only gets better. 2. Best price:One of the most incredible things about Dubai is the fact that they give you quality printed products at the best price. In Dubai, be assured ofquality service at the best price and no regrets come in doing just that. 4. Trust:Another benefit of the printing press in Dubai is that they don't betray the trust bestowed on them by their customers. Printing company in Dubai can really be trusted as they don’t go below expectations. They always ensure they put a smile on their customers’ face by doing everything in their power not to disappoint them. In Dubai, 100% satisfaction is guaranteed.Printing company in Dubai builds reliable workflow systems that enable them to hit demanding deadlines and that is just so cool! 5. 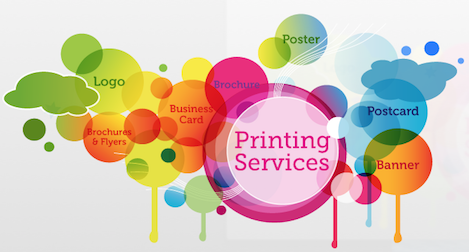 Expert and professional: In Dubai printing company only experts and professionals get to handle your work and this means only one thingwhich is the fact that you will be able to getthe best services the world can offer. Talented employees are hired and with this, the Dubai printing services give their customers only quality printed product and there is nothing as good as that.